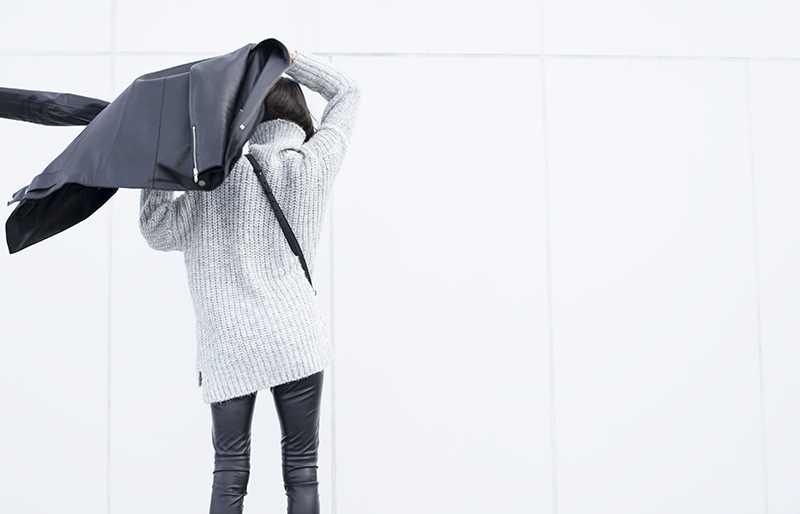 WEARING: Zara Turtleneck, H&M Conscious Leather Jacket & Pants, Tibi Bee Mules, & Alexander Wang Marion Bag. 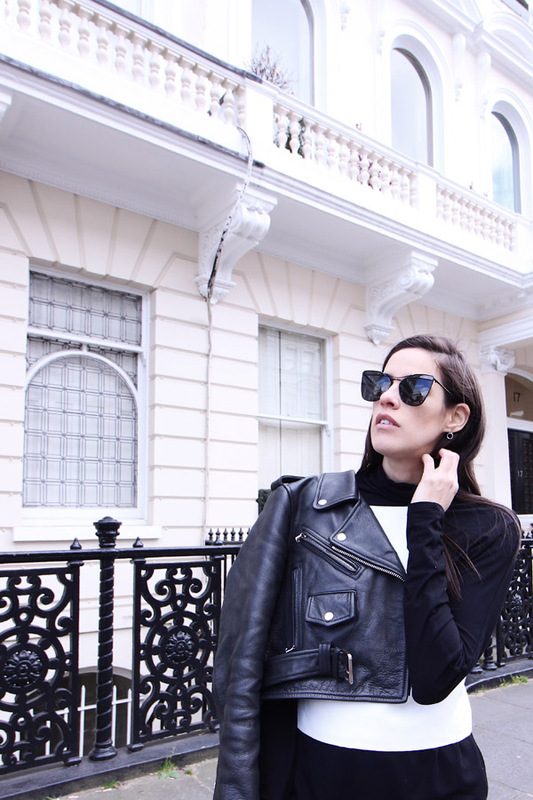 Leather is an essential of any good wardrobe, it has proven its functionality (and coolness) over the years, and if I had to choose one piece that is worth investing in, it will most definitely be a leather one. I do recommend if, like me you are trying to build a functional and timeless wardrobe (free of too many trends) leather is a must. I have no reservations when it comes to purchasing such a piece, I will save up for a year, if thats what it takes (quality over quantity). Leather can be classic, cool, edgy or rebellious. It creates a beautiful contrast of textures against other materials and it looks sharp when paired together. I treat myself to one leather piece a year, let that be a pair of shoes, a bag or a jacket - it ages well and it is always in. I wear my leather pieces all year round, sometimes layered when it is winter or showing some skin when in the summer. Also, as you can see here I am certainly not afraid to wear leather on leather. This post is dedicated to my friend Mae who started the conversation that led to this week's style topic: to leather or not to leather. Very, very cool mix of black with pale grey. love leather! looks so cool and nonchalant. Never purchased a pair of leather pants due to body shape and weather. But I am here for a good leather jacket! I'm addicted to everything that is leather, especially maroon leather tops and skirts! *_* I always wanted to invest in a good tomboyish leather jacket, but I can't find the right size or design. I love yours though, it's perfection! So cool this look leather, love so much your pants. 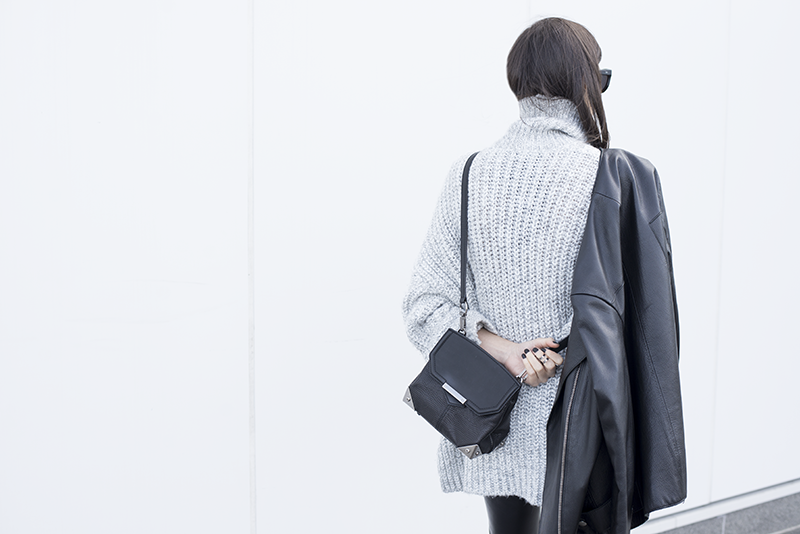 I'm wearing leather trousers + big turtleneck sweater every day in winter! The perfect match. You look so effortlessly badass! Lovely outfit! I love the mules so much! Those leather pants are so gorgeous! Love this look so much. Edgy and casual!